Ariadna Laguna studied Biology at the Universitat Pompeu Fabra (Barcelona, Spain). She got her Master (D.E.A.) and Ph.D. degrees in Health and Life Sciences at the same university working under the supervision of Dr. Mariona Arbonés at the Center for Genomic Regulation (CRG, Barcelona, Spain). 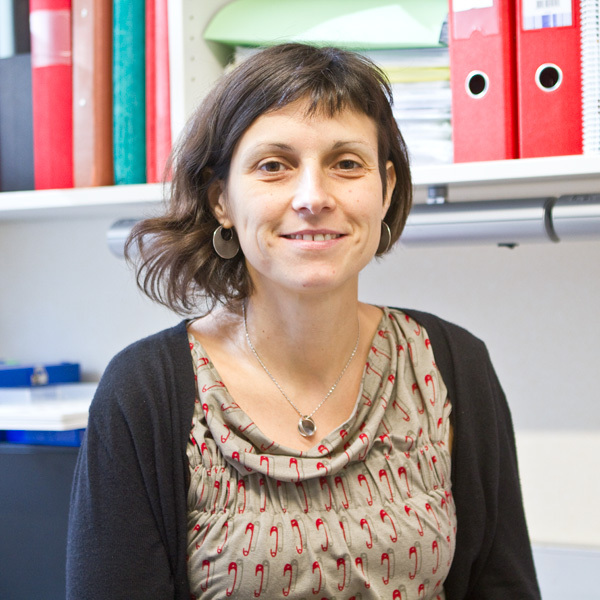 In 2009, she joined the group of Professor Thomas Perlmann at the Ludwig Institute for Cancer Research – Karolinska Institutet (Stockholm, Sweden) as a post-doctoral researcher to work on the transcriptional regulation of dopamine neurons generation during development and maintenance in pathological conditions such as Parkinson’s disease. She joined our lab in October 2014 as a Beatriu de Pinós post-doctoral researcher and has now obtained a Young Investigator contract from the Spanish government (Ministry of Economy and Competitiveness (MINECO)) to continue her research in our group.